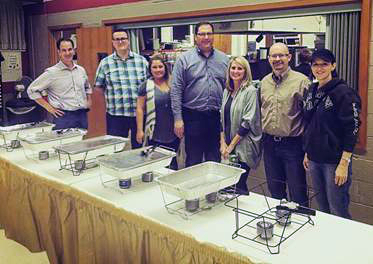 EnVista employees served Thanksgiving dinner to homeless young men and women. veterans' grave sites nationwide. MacroPoint provided its tracking technology to help monitor the progress of the 350 trucks involved; TQL donated $1,000 from its employee-driven Moves That Matter charity; and J.B. Hunt provided 23 military veteran drivers to drive trucks and some 500 additional volunteers to place wreaths on the graves. Knoxville, Tenn.-based 3PL Red Stag Fulfillment donated warehouse space to process the truckloads of donated goods that began flowing into the region following the devastating wildfires in the Smoky Mountains in December. Richmond, Va.-based medical supplier and healthcare supply chain specialist Owens & Minor Inc. is supporting A Soldier's Child Foundation (ASC), a nonprofit group that serves the children of America's fallen soldiers. At a recent ASC "birthday party" event, employees from one of Owens & Minor's DCs shopped for birthday gifts, while the leadership team wrapped the presents and wrote messages of support for 150 of the children served by ASC. Kion North America collected food for the Lowcountry Food Bank. Indianapolis-based supply chain and consulting IT services firm enVista assisted the nonprofit group Outreach Inc. in its mission to help homeless young men and women achieve stability and life transformation. enVista employees collected 51 brand-new coats, 60 hats, and 60 pairs of gloves for the group's clients and worked three shifts to serve Thanksgiving dinner to 150 people. 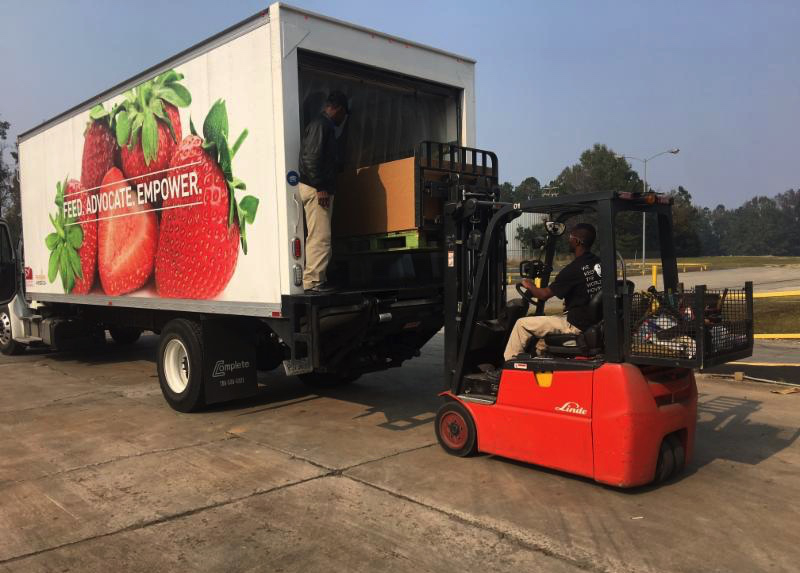 Summerville, S.C.-based material handling equipment manufacturer Kion North America supported the Lowcountry Food Bank by hosting a fall food drive. Employees collected more than 1,200 pounds of nonperishable food to benefit residents of the 10 coastal counties of South Carolina.